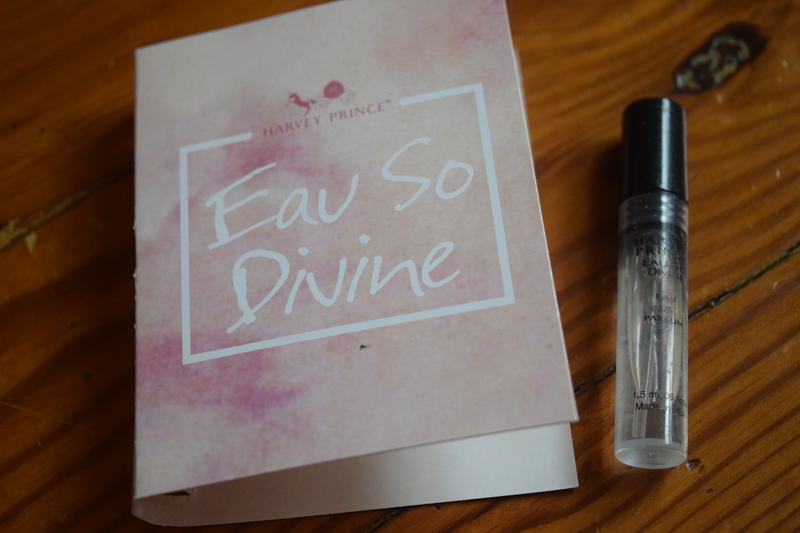 Today I’ve got something totally outside the box for me (pun intended): A perfume subscription! 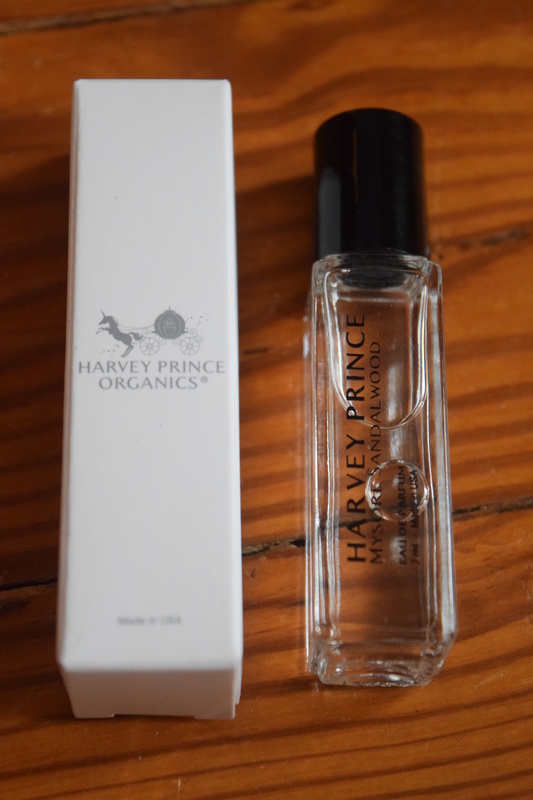 The wonderful folks from Harvey Prince Organics sent me their February The Story of Perfume box to review for you guys. They are also offering a special promotion for free mini perfume rollers (just pay for shipping). Jump down below for all the details. 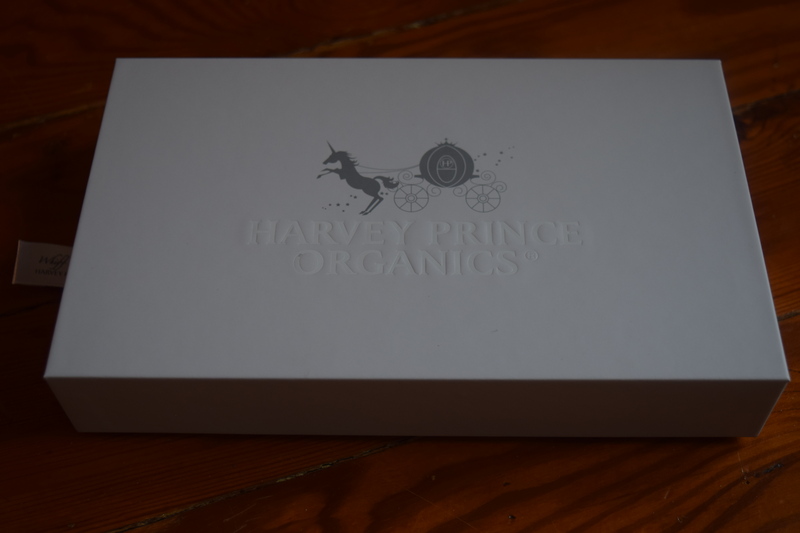 Now the name Harvey Prince Organics might be familiar to some of you since they have popped up in a lot of Birchboxes. I’ve tried a few of their products and enjoyed them, so I was excited to see what their own box sub would have to offer. To start 100% of their products are cruelty free, vegan & gluten free! Fresh French Bergamot. Dewy Bulgarian Rose. Sensual Australian Sandalwood. Lush Italian Lemon. Sweet Japanese Sakura. Rich Assamese Oud. Spicy Kashmiri Saffron. 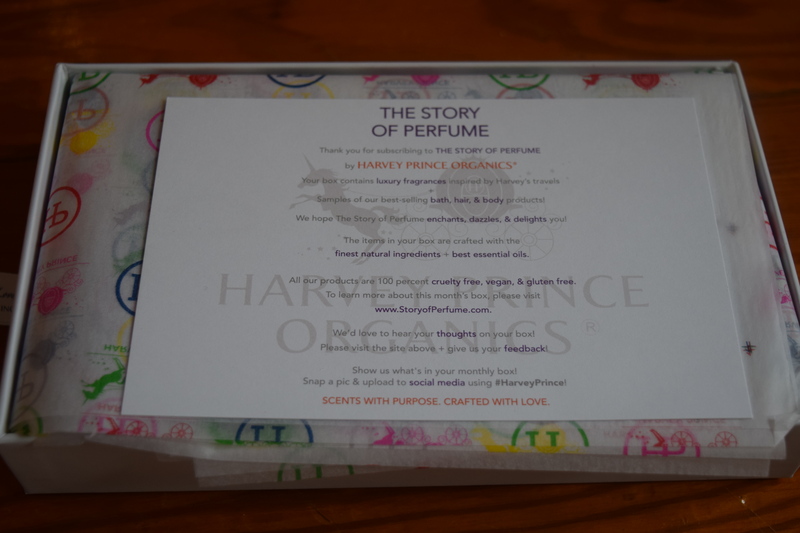 These are just some of the notes our private blend fragrances in The Story of Perfume may contain! Each box also has two samples from our best-selling bath, hair, & body lines. Ranging in size from 15ml to 30ml, you may receive our color-safe shampoo & conditioner, skin-softening body butter, or exfoliating shower gel, among other customer faves! The cost of this sub is $22 a month, with a discount for purchasing a year’s subscription. 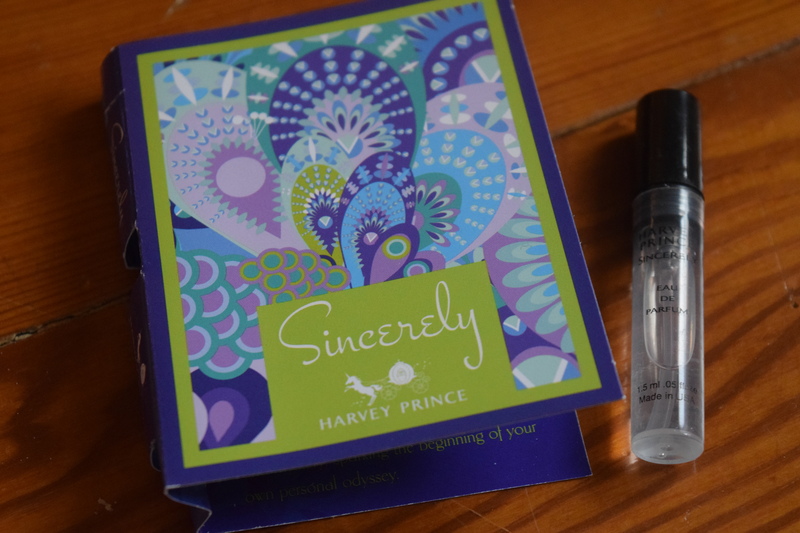 If you’re a regular reader you know I’m super sensitive to perfumes and super picky, so I’ll do my best to evaluate these on a larger scale and how I think they’d appeal to most folks. I love love LOVE (did I say love) the style of their box. 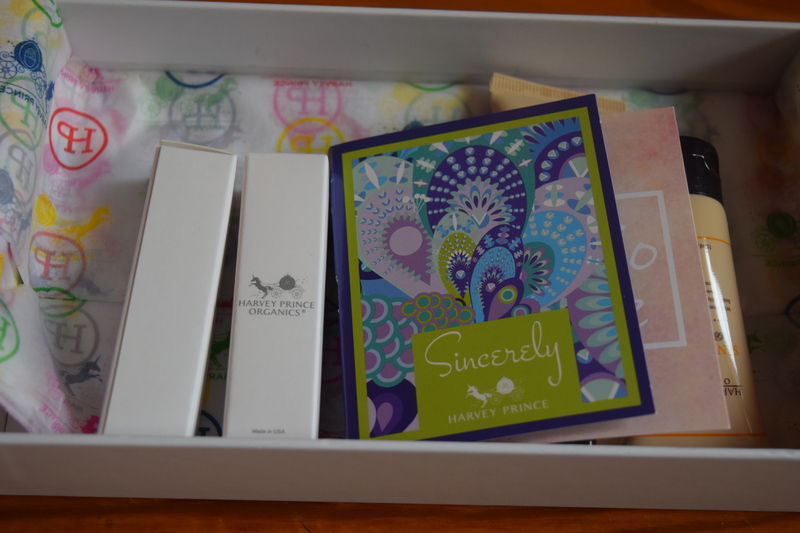 The packaging is so fairy tale appealing that it feels like a gift. They’ve already scored points with me and I haven’t even opened it up yet. I’m not a fan of musky scents and this one is a bit on the stronger side, but it’s not overpowering and I feel like it would appeal to ladies who don’t want something super sweet or floral. 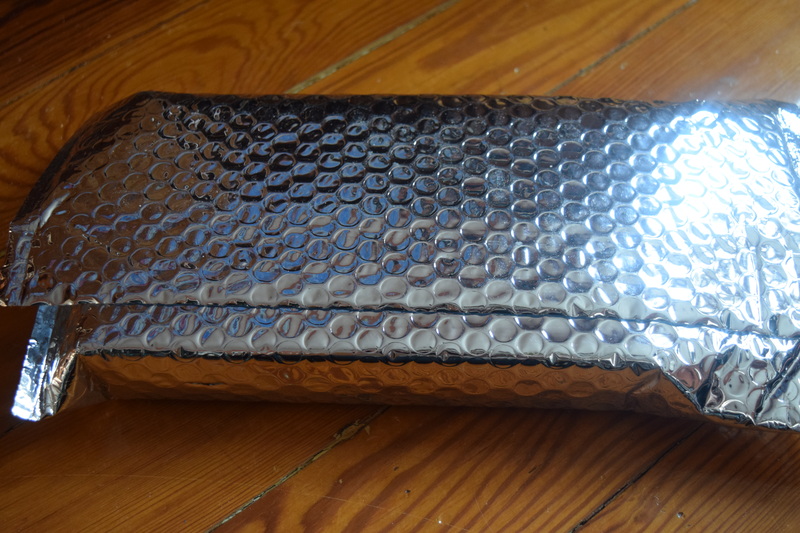 If you want to try this for yourself, you can get it home just for the cost of shipping. Add it to your cart and use the code EXOTICINDIA. Verdict: For the ladies that like unusual scents. I couldn’t find this one on the website so I’m guessing it’s sold out, but I’m sure if you shoot Harvey Prince an email they will let you know if it becomes available again. I thought this was a really unique scent and I think it will appeal to the folks that like to experiment with their beauty products. This was a touch too floral for me personally, but I think a lot of ladies would really like this scent. 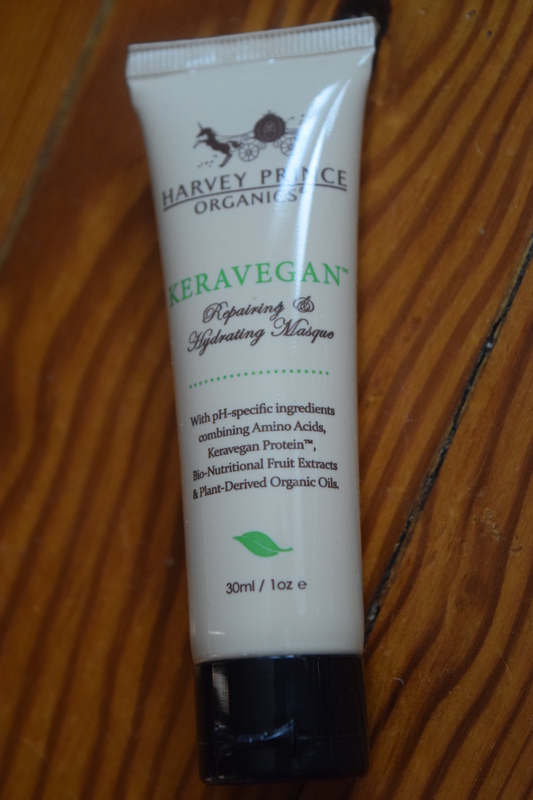 I’ve tried Harvey Prince’s other body creams and found them to be quite moisturizing so I’m sure a lot of subscribers would dig this. Description: “Delicate Japanese lily, Intoxicating Moroccan Jasmine & sweet Iris softly release into the air. Warm Madagascar Vanilla, deep Indian Patchouli, Sensual Dry Woods & Clean Musk stir you with their aromatic intensity. This is a floral musk that I think would appeal to ladies who like very feminine scents. Personally it’s not quite to my taste (I’m very anti-Patchouli) but I think this would appeal to folks that that have a bit of a bohemian sensibility. This is the same scent as the lotion and I appreciate that we got two different types of items in the same scent so subscribers could layer them. As I mentioned earlier I think this is a solid scent that will appeal to a lot of women. This is my favorite item in the box. 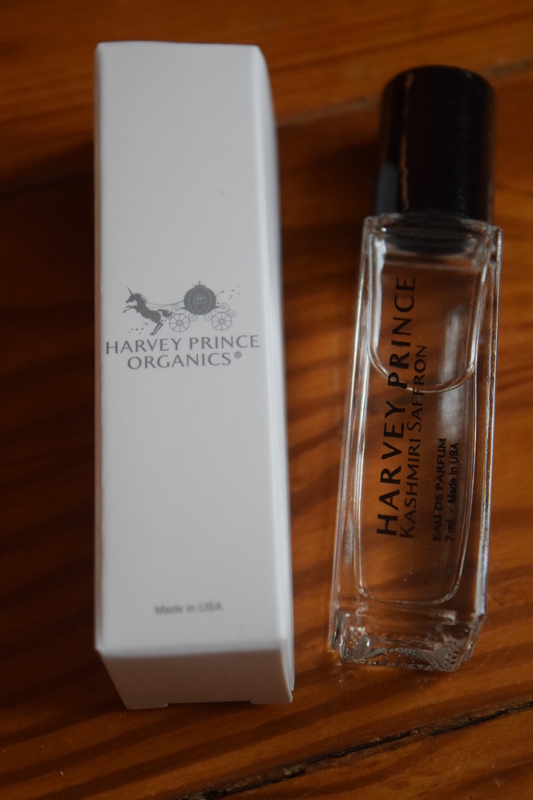 The perfume on this product was noticeable but not overpowering and it didn’t’ stick with my hair endlessly like some over-scented hair products can do. It left my hair soft and not weighed down. The first thing I was impressed with (besides the gorgeous packaging) was that none of these scents had that strong synthetic give-me-a-headache-immediately issue. While a lot of the fragrances weren’t my taste, I could tell the perfumes were high quality. Each of the 7mL roller balls normally costs $30, so for $22.00 you two of them plus a wide variety of samples. I think that’s a great value. If you know someone who loves perfumes or is really into vegan/cruelty free/gluten free beauty this might be the sub for them. You can get can get the Mysore Sandalwood mini roller for FREE by using the code EXOTICINDIA. All you have to do is pay for shipping. Just add it to your cart and apply the code! Cost: $22 a month, with a discount for purchasing a year’s subscription. Hi can they send it to puerto rico. I’m not sure. I can’t seem to find any info about it on their website. Their customer service is quite responsive, I’d shoot them an email to ask.